This will be my last Friday Faves for a couple weeks as next Friday really kicks off our wedding weekend...9 days to go, omg! I have 2 posts next week - one is a wedding update - and the other is my fall shopping wish list. Have a great, official last summer weekend (fall starts next week!) and here are my faves of this week. 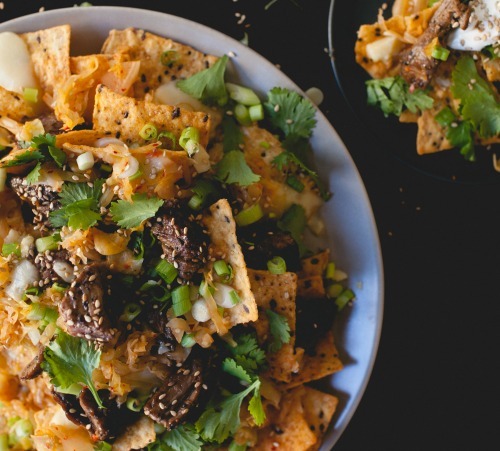 I am loving kimchee lately so wanting to make these kimchee nachos for watching an upcoming Patriots game. Ha! This is so gonna be me packing for Hawaii (our honeymoon!) this weekend. This live edge coffee table DIY seems much more do-able than I would've thought! i'm so the same way packing for vacation. Our next one is Iceland though and i KNOW I don't need 32 shirts!! 9 days to go, OMG!!! So exciting!